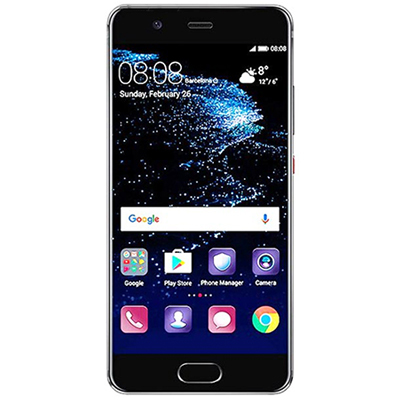 Setting an industry benchmark for style and craftsmanship, the Huawei P10 offers the first hyper diamond-cut finishing on a smartphone adding strength and colour to this pocket studio. Redefine modern portraiture with the Huawei P10. The 5.1 inches IPS-NEO LCD capacitive touchscreen, offers 16M colours and 71.2% screen-to-body ratio. Corning Gorilla Glass 5 protects your handset on the go, whilst 1920 x 1080 resolution keeps things sharp. The all new 12 megapixel Leica front camera captures 2x more light, offering amazing selfies, day or night. The Huawei P10 automatically switches to wide-angle shots when more people enter the picture for group selfies. Capture the moment with the 20 megapixel rear Leica Dual Camera 2.0 carries two SUMMARIT-H lenses with an F2.2 aperture. The result: 4K shooting, 20MP+12MP sensors, Optical Image Stabilisation, Superior low-light photography. Machine learning and the ultra-fast Kirin 960 processor makes the Huawei P10 speedy whilst Huawei's Ultra Memory technology intelligently allocates, recycles, and compresses memory, so the apps you love load faster than ever. 4 GB RAM and 64 GB ROM provides space and functionality, while the fingerprint sensor keeps your information safe on the go. 4G and NFC connectivity keeps you connected wherever you find yourself.